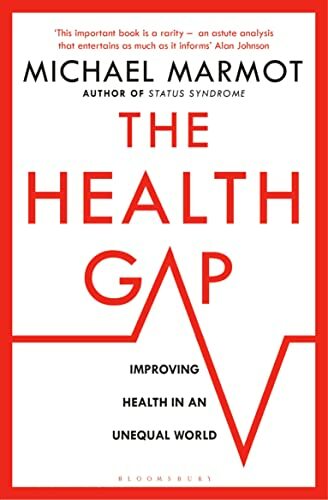 'Splendid and necessary' - Henry Marsh, author of Do No Harm, New Statesman There are dramatic differences in health between countries and within countries. But this is not a simple matter of rich and poor. A poor man in Glasgow is rich compared to the average Indian, but the Glaswegian's life expectancy is 8 years shorter. The Indian is dying of infectious disease linked to his poverty; the Glaswegian of violent death, suicide, heart disease linked to a rich country's version of disadvantage. In all countries, people at relative social disadvantage suffer health disadvantage, dramatically so. Within countries, the higher the social status of individuals the better is their health. These health inequalities defy usual explanations. Conventional approaches to improving health have emphasised access to technical solutions - improved medical care, sanitation, and control of disease vectors; or behaviours - smoking, drinking - obesity, linked to diabetes, heart disease and cancer. These approaches only go so far. Creating the conditions for people to lead flourishing lives, and thus empowering individuals and communities, is key to reduction of health inequalities. In addition to the scale of material success, your position in the social hierarchy also directly affects your health, the higher you are on the social scale, the longer you will live and the better your health will be. As people change rank, so their health risk changes. What makes these health inequalities unjust is that evidence from round the world shows we know what to do to make them smaller. This new evidence is compelling. It has the potential to change radically the way we think about health, and indeed society.